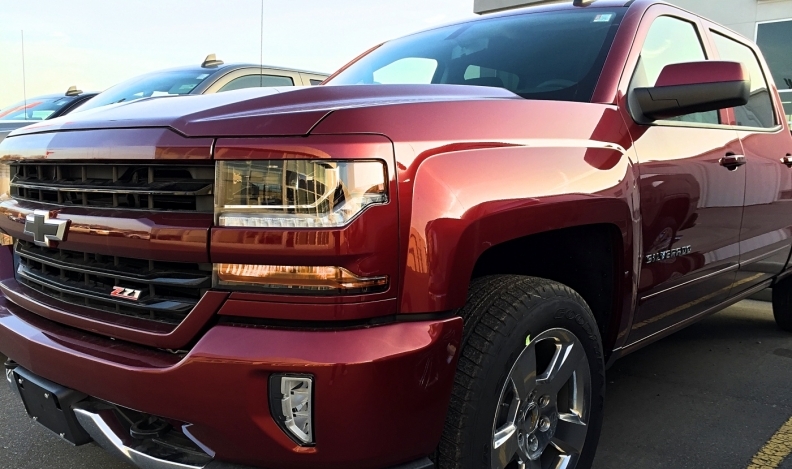 The growing market for trucks and utilities has been a boon to dealers in provinces such as Manitoba and Alberta, where trucks were already popular and central to the viability of many dealerships. Dozens of automakers, suppliers and technology companies have made headlines this year by announcing plans to electrify their offerings as the auto industry slowly moves toward a zero-emissions future. The money to invest so heavily in green technology comes from explosive growth of the North American light-truck market. The Canadian auto sector is on pace for its strongest year ever, bolstered by record sales of utility vehicles and pickups. Combined sales of Ford, General Motors and Ram full-size pickup trucks were up 15 per cent through October from a year earlier. These dominate the list of best-selling vehicles on the market, and they’re among the most profitable. Meanwhile, compact utility vehicles such as the Jeep Compass, Volkswagen Tiguan and Honda CR-V are on pace for record years. Simply put, the money remains, more than ever, in North American truck and utility sales. Automakers must keep their offerings strong in those segments to bolster profits, even as they invest more money into a tiny but growing EV market. Don’t expect things to change anytime soon, said Tony Faria, co-director of the Office of Automotive and Vehicle Research at the University of Windsor. “More than likely as we look ahead over the next five or 10 years, it’s looking like a continuous movement toward truck-based vehicles,” Faria said. Sayed Dost, the sales team lead for Carman Ford in Carman, Man., southwest of Winnipeg, said the dealership has seen sales of the highly profitable F-150 pickup and of Ford’s various cross-over offerings steadily rise over the past several years. Dost said trucks and utilities are key to the dealership’s success, and he does not anticipate that changing anytime soon, especially as they become more fuel-efficient and as the technology inside them increases. “We’re living in a fast-paced world, and customers want something that’s good on gas and can get us where we want and can also do the work that they need them to do,” Dost said. The shift toward trucks was a swift one. Just nine years ago, cars made up 54 per cent of Canada’s new vehicle market, when about 140,000 more cars were sold than light trucks. Fast forward to 2017, and cars accounted for 32 per cent of the Canadian new-vehicle market through October. Light-truck sales, up nearly 10 per cent from last year, are set to break another annual record, while car sales appear poised to dip for the fourth consecutive year. It moved so quickly that automakers are still rushing to adjust their production to catch up to North American demand, Faria said. He pointed to General Motors’ decision to extend its summer factory shutdowns because of slow car sales, as well as its decision to increase production of the Chevrolet Equinox in Mexico this year. Finding the right balance between truck and car production is bound to become trickier in coming years as automakers roll out more electric offerings, typically smaller cars that automakers lose thousands of dollars on per EV sold. GM said in October that it would launch 20 electric models by 2023. Ford Motor Co. has said it would invest $4.5 billion over five years into its electric offerings. Automakers will need to quickly determine how the transition to electrified vehicles will take place as North American buyers continue to clamour for utilities and pickups. Thus far, EVs have almost exclusively been developed as cars. Hybrid technology stretched to some utility vehicles, but it will be crucial for automakers to develop feasible electrified versions of utilities and trucks if they hope to win over North Americans over the next several years, Faria said. “We just have a desire for bigger vehicles. They tend to be a bit safer because of the added weight they have, and they’re more convenient in terms of their size...But that size makes the efficiency of large, heavier electric vehicles as good as smaller, lighter vehicles. “Beyond a small-scale shift back toward cars that would likely happen in a recessionary period, I don’t see how there could be a major shift back toward something like a 50-50 market anytime soon,” Faria said.